Tern schooner (3-masted schooner) with a load of lumber, including a large deckload. Since lumber floated, masters were not as concerned about overloading as they were with other cargoes. 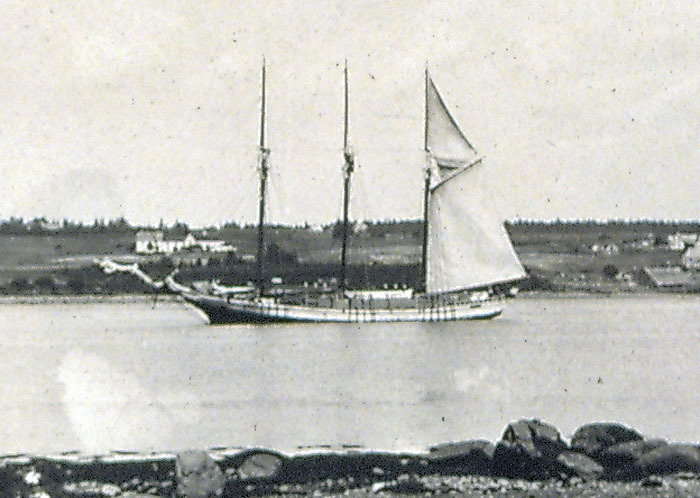 Schooners like this one were frequently loaded so that water was almost at deck level. Lumber came into Belfast for shipbuilding, building construction, and for the Matthews Brothers business of making doors and windows.